Interview Question:Tell us Something about yourself! 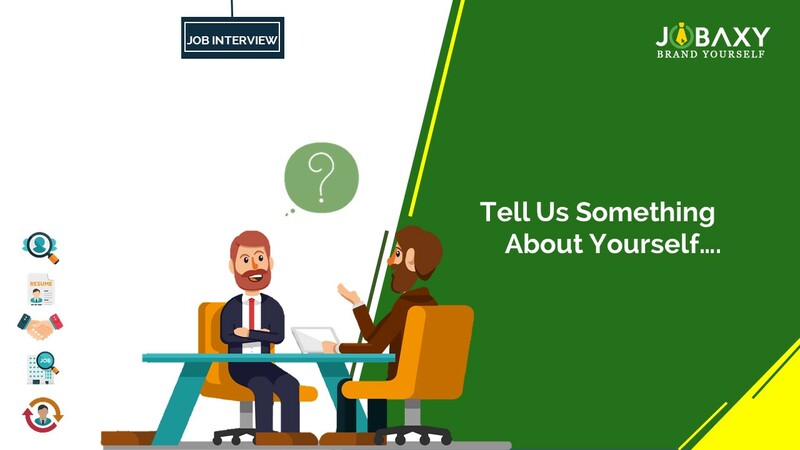 Tell us something about yourself is the standard question asked in each interview whether you are a fresh graduate or an experienced person. The answer you give sets the tone of the interview. As it is said, ‘Well began is half done’, you need to win the examiner with this one. Although this question appears simple as you just have to speak for yourself, it is considered as one of the most dreaded questions of the interview. You just cannot afford to go wrong with this question, one mistake and you are out of the race. Interview means you are bound to be nervous, and your nervousness could be fatal for you. So once you start searching for the job vacancies in Philippines, you should prepare your answer. Write down the answer and practice it several times. Remember practice makes a man perfect. Short and Intriguing - First and most important tip while answering, ‘tell us something about you’ is, keep it short. The answer should be somewhere in between 60 – 120 seconds. It should not exceed 120 seconds. Personal Details – The interviewer is not interested in knowing where you were born, who your parents are, what your childhood was like and so on. Make sure your answer does not have these aspects of your personal life. Academics – Highlight your highest educational qualifications and mention your achievements. The achievements could your high grades, or your participation in the student council or your representation of your school at a competition and alike. Use your achievements as a weapon to show how deserving candidate you are for the job. Experience – Mention your total work experience and the name of the company you are working for without divulging many details. Emphasize your significant accomplishments and the impact you brought in your job. Define Your Personality – This is an interesting and important aspect of your answer. You have to highlight your qualities that are beneficial for the role you are applying. You must convince the interviewer that you and only you are best suited for the job. Hobbies – You can add your hobbies to your answer only if they match the job profile again proving your candidature. One thing you should always keep in mind is that you are the one who should decide the direction of the interview. So while answering mention only those points and topics that you know in and out and are comfortable answering. Respond to the question with tremendous confidence and of course with a smile making an eye contact with the interviewer. If you are interested in more detail about this or any other interview related questions, please register with the best job portal in Philippines, Jobaxy! Jobaxy has a separate page devoted entirely to the general interview questions. The page contains many questions with their best-expected answers and examples.